The new champion, who clinched the title at Sonoma Raceway today in convincing manner with his fifth victory of the season and the ninth of his career, said: “I’m very emotional inside, even if it doesn’t show. Maybe it will show tonight, I don’t know. “When you join a team like Team Penske, they deliver the best cars, they provide you the best equipment out there, and as a driver, it’s your job to do the best job possible. 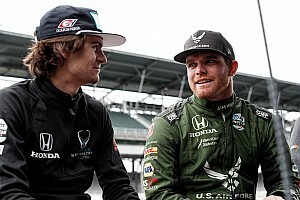 And obviously when you’re against Will Power, Helio Castroneves, Juan Pablo Montoya, these guys are pretty much the benchmark in the world, so it’s about pushing yourself, finding more out of yourself as we all have the same cars. 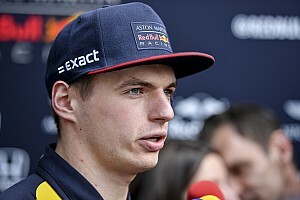 “Last year was a learning curve as a team and as a driver also. I realized there were some areas I really needed to work on, which I did during the winter. And with my team, my crew, my strategist Kyle Moyer and [race engineer] Ben Bretzman, we worked at a different approach this year and this approach was one I had taken with Ben since 2010 [at Highcroft Racing’s American Le Mans Series team], it worked out really good. Regarding his switch to Team Penske after three years with Schmidt Peterson Motorsports-Honda, Pagenaud said the transition had been tough. He said: “It was unfair to imagine the transition would be that easy. It was the first time that Roger Penske had run four cars in IndyCars, and we had to assemble the team from people working in other teams and people working on other cars within the team. 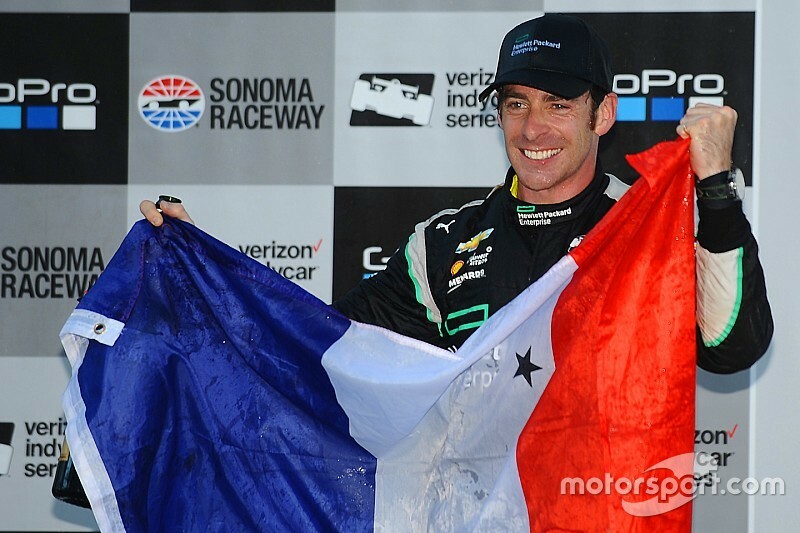 Pagenaud recalled his time racing in the American Le Mans Series, joining two-time IndyCar champion Gil de Ferran in the French-Brazilian’s own team. Pagenaud won the 2006 Formula Atlantic title for Walker Racing, graduated with Derrick Walker’s team to Champ Car in 2007 and finshed eighth in the championship. 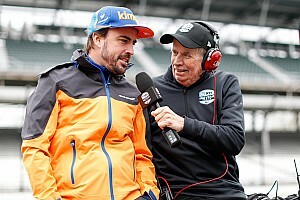 However, he was left without an open-wheel ride following the Champ Car / Indy Racing League merger to form IndyCar, and thus joined De Ferran Motorsport. I said, ‘Yes,’ because I wanted to drive. “I quickly realized that it wasn't gone, and that I lied. But it was OK because he taught me a lot of things. I completed myself as a driver with Gil. I used that opportunity to drive sports cars with a lot of open regulation. It allowed me to understand better what racing is all about, not just turning right and left. There's so much more to it. “I think it opened up my window of operation. Having Gil next to me, being my Yoda, it's been pretty cool. It's just incredible when I look back that I've been able to accomplish this. Pagenaud was swift to praise his main championship rival this year, Will Power, against whom he first raced in 2005, and with whom he was teamed at Walker Racing in Champ Car in 2007. “Will is a tremendous driver,” said Pagenaud. “I'm even more satisfied to win against him. I always thought he was the benchmark of speed, especially in the IndyCar Series. 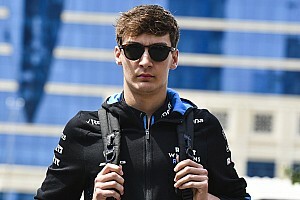 “But even since we raced in 2005, he was faster than Robert Kubica when we were racing World Series by Renault in Europe. Kubica went to Formula 1 and won a grand prix. With him and Lewis Hamilton, Will is one of the most talented drivers I have seen. “So obviously being able to win against him is big. But he's had a tough season. He's had some up and down. “He's been a friend and we have a lot of respect, and I think the respect is even more growing. With the rumors swirling around who will occupy the #2 car next year, with question marks over Montoya’s future at the team, Pagenaud paid tribute to all his teammates. “The driver chemistry has been amazing,” he said. 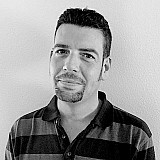 “Juan Pablo, for me, has been a huge help on the ovals. Helio is just our dad, man! He's there making sure everything is going well. I admire the guy he is just for waking up so happy every day. And he drives better every year. It's incredible. “But Will and I, I mean, we have a similar background. We push each other very hard.